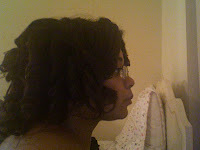 The Jen Chronicles - Relaxed Hair : Wash Day + Flat Ironing! 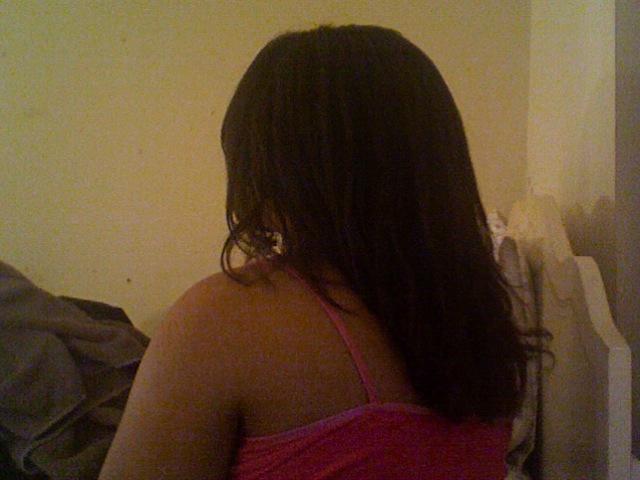 Wash Day + Flat Ironing! I hope everyone is having a delightful, or at least productive, Monday! Pre-shampoo treatment with grapeseed oil and Carol's Daughter Tui Moisturizing Hair Smoothie on the length and coconut oil on my scalp. My hair was super dry, so I figured I'd add conditioner to my pre-poo to soften my hair prior to washing. Shampooed once with Nexxus Therappe. To remove build up prior to heat styling. 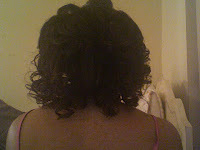 Shampooed once with Shea Moisture Moisture Retention Shampoo. Applied Nexxus Keraphix to damp hair and left it in my hair for about 10 minutes without heat while I showered. My hair felt super smooth and strengthened after use, Keraphix really is the best. 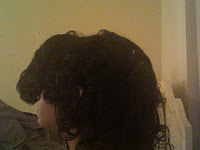 Deep conditioned with Nexxus Humectress for 15 minutes with heat, let it cool and then rinsed with cool water. Then t-shirt dried, added my leave-in (Rusk Smoother, no argan oil this time) and then finger detangled. I then rollerset my entire head on medium sized rollers. I left the rollers in for about 18 hours and then took them out. The rollerset after it was completely dry. Now after I took the rollers out, I did something that I haven't done in about 15 months, I used my flat iron! I used my 1'' ceramic Solia flat iron (it's pink!) on 300 degrees and began to flat iron sections the same way they were rolled the night before--that saved a lot of time. To each section I applied a small amount of Redken Smooth Down Heat Glide, combed through and then flat ironed. I am a huge fan of the results as well as this heat protectant! I am thrilled with my results. My hair is super smooth, light and my roots actually got pretty straight, so for 8 weeks post I am extremely impressed. 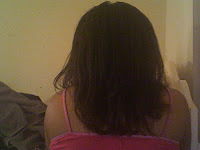 This was an experiment to see how my hair straightened this many weeks post relaxer, as well as a trial run for birthday weekend. Prior to my hair journey this would've turned out to be a disaster. Hmm... now to see how I can manage this for the week (including gym time) will be fun lol. Your hair looks really bouncy! Thanks my dear :). It's so much lighter than my air-dried hair that it feels odd lol. Thank you hun! 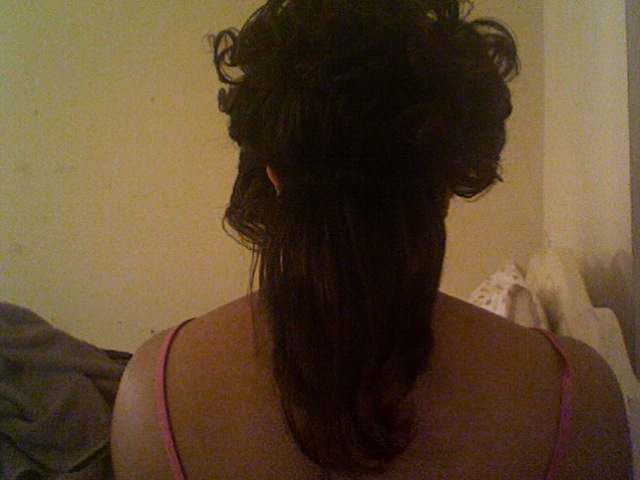 Lol, I was so shocked by how it turned out. This hair journey is full of surprises ;). Your hair looks so full of body and healthy!!! Love the results! Your hair looks lovely Jen! 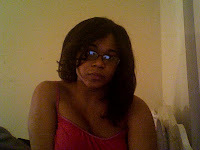 I agree with Blessed Tresses, so much body! Thanks hun :D. I appreciate the compliment! Very nice, I haven't used my flat iron in forever either. Thank you for the kind words ladies :)! I sincerely appreciate it!! Thanks hun :)! Yesss, keraphix is absolutely amazing. Love the final result dear ! !